As you face the loss of a loved one, our wish at McKinney Family Funeral Home, Inc. is to help you celebrate a life well-lived by providing a final tribute worthy of the individual. We understand during the time of transition, your family’s wishes and traditions have never been more important. Our Professional funeral services can make all the difference in helping your family to grieve while honoring the memory of a loved one. The staff of McKinney Family Funeral Home, Inc. are aware of our responsibility to render the highest standard of excellence in our chosen profession and we earnestly value the trust placed in us. At McKinney Family Funeral Home, Inc. all families are important and worthy of "Dignity and Respect." Therefore, we are committed to fulfill each family wishes by honoring specific requests, whether traditional, contemporary, religious, multi-cultural, shipping, memorial or cremation services are selected. 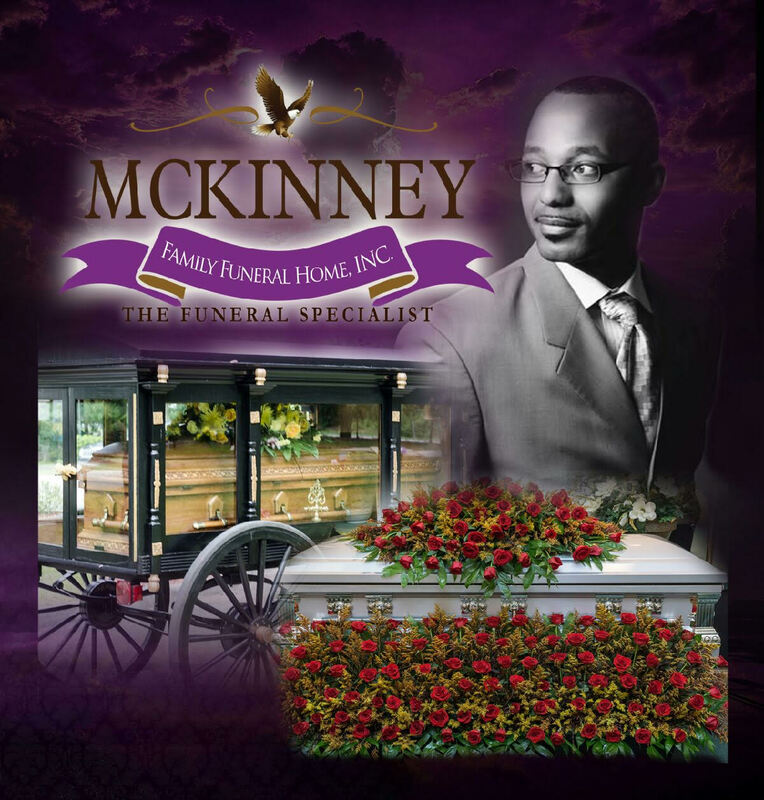 Reginald R. McKinney is the founder and Licensed Funeral Director in Charge of McKinney Family Funeral Home, Inc. His extensive experience in funeral service and providing care to families has established him among the most respected young funeral directors in the local community. Since the company’s inception in August 2009, Reginald’s leadership and direction have shaped its mission to reflect the highest standards in funeral care and ministry to families. As a result the company has distinguished itself for quality and excellence. Reginald began his work in the community and in funeral service at the age of thirteen. Throughout a career that has spanned more than 18 years, he’s remained deeply committed to educating and assisting the public with issues and topics in funeral care. Reginald currently holds professional membership with the Epsilon Nu Delta Mortuary Fraternity, Inc. (Alpha Gamma Chapter) where he serves as Vice-President, Independent Funeral Directors of Florida and Florida First Coast Mortician's Association. He has served as President and Vice-President to the Florida First Coast Mortician's Association. In February 2016 Reginald completed all requirements for certification in the Academy of Professional Funeral Servcice Practice and earn the designation of Certified Funeral Service Practitioner (CFSP). He is a graduate of Gupton-Jones College of Funeral Service, Atlanta, Georgia (Class of 1998) and served as Secretary to the Board of student Council.